Posted in: Daily Posts. Tagged: Barges on the Mississippi River, Dubuque, Dubuque Ice Harbor, Photography, Waxing crescent moon, Wildlife Photography. The images I have for you today were taken this past Saturday. 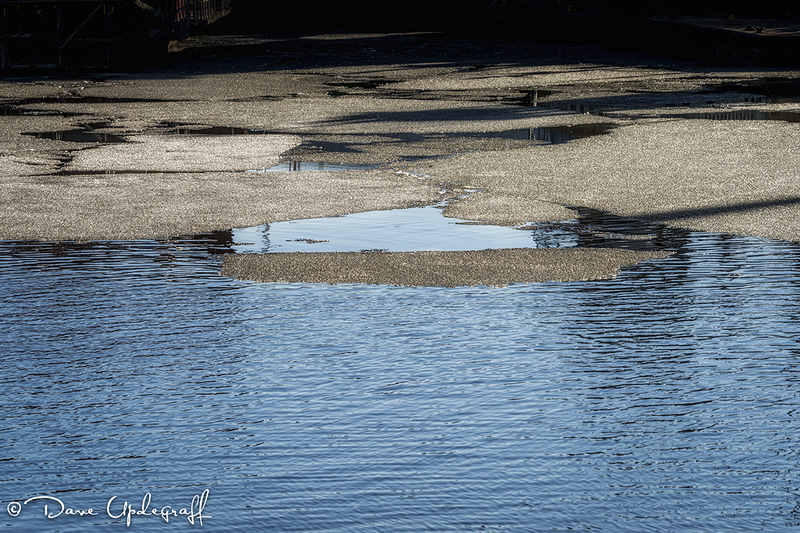 The one above and just below were taken at the Dubuque Ice Harbor where the ice is still hanging on. The main channel of the river is free of ice now and I would imagine it won’t be long before barge traffic once again becomes prevalent. 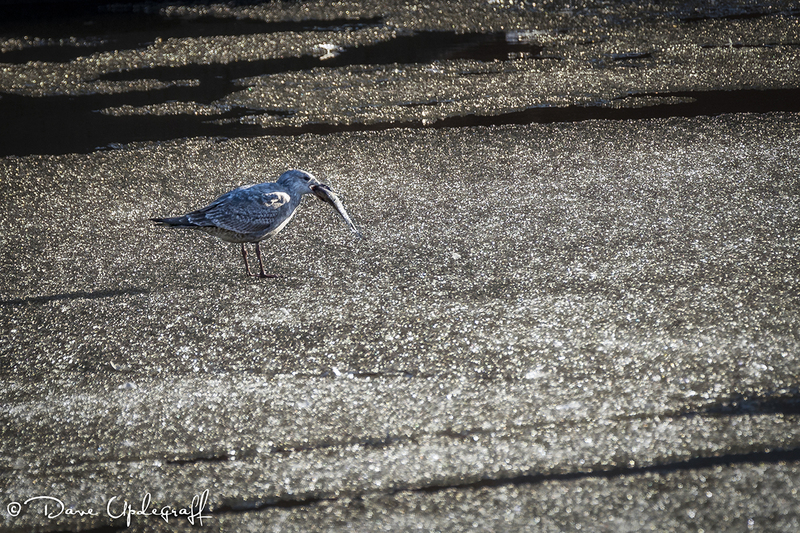 We watched this little gull struggle with this small fish for sometime. He just couldn’t figure out how to devour it and finally we got tired of watching him fight with it. We were going to take a walk on the river walk but with the breeze and the sun beginning to set it was pretty uncomfortable so we just opted to head for the restaurant and a more cozy environment. 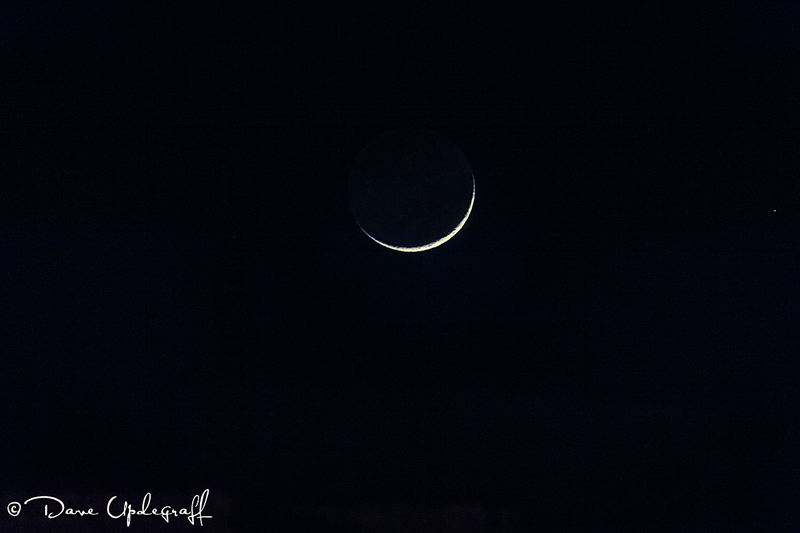 I’m going to have to do some reading about this because it was a beautiful moon Saturday evening I would like to give it a try the next time the moon is waxing crescent. That’s all I have for you today. Enjoy your day and be careful.